This episode is sponsored by Summons Magazine by www.bethemen.com. 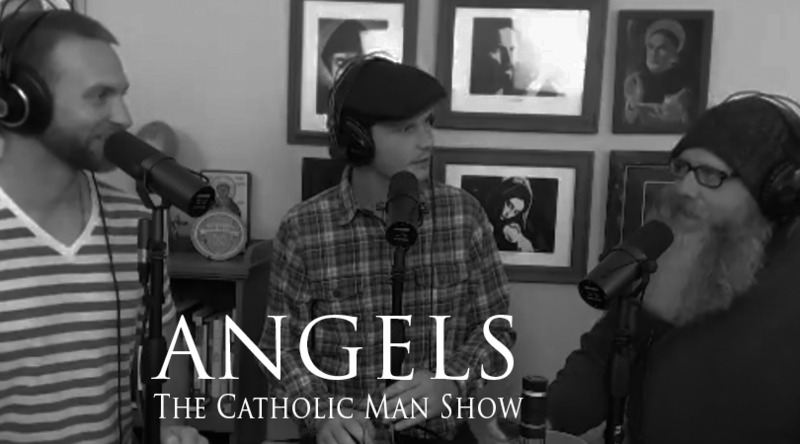 This magazine is for every Catholic man who knows deep down we are all called to greatness. Sign up for the magazine, for free, here. Follow them on Facebook. 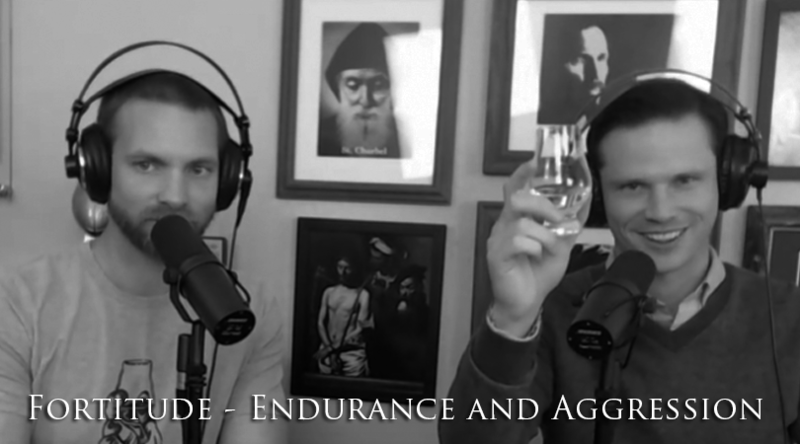 The dram this week is Courvoisier VSOP ***CORRECTION*** in the episode Adam says VSOP stands for ‘Very Special Open Pale’ which is incorrect. It actually stands for ‘Very Superior Old Pale’. The gear is having a letterhead. Want to make your own letterhead? Here’s a list of some good examples. Fr. 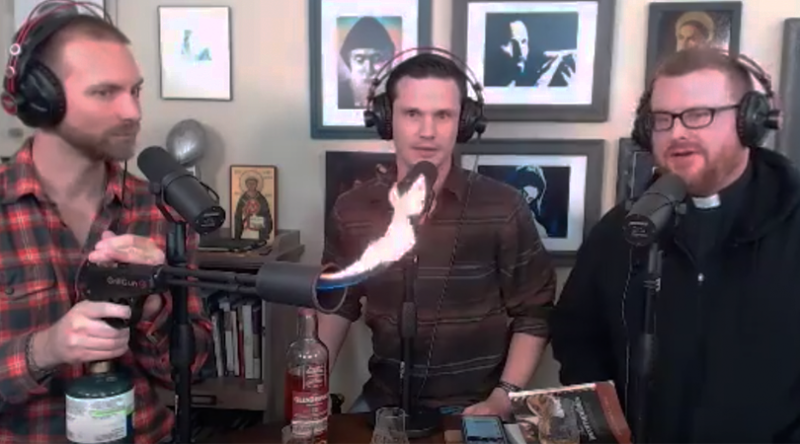 Donovan joins us to discuss scotch, grill guns, and the incorruptible saints. Fr. Donovan is a priest of the Diocese of Tulsa and Eastern Oklahoma. He is the pastor of Immaculate Conception Parish in Pawhuska, OK. You can watch an interview with Fr. Donovan on his beautiful parish here. Fr. 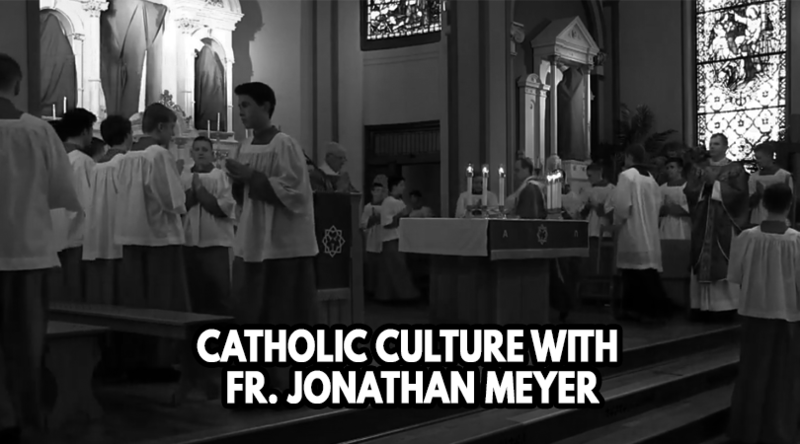 Jonathan Meyer joins us to talk about his thoughts on Catholic Culture. 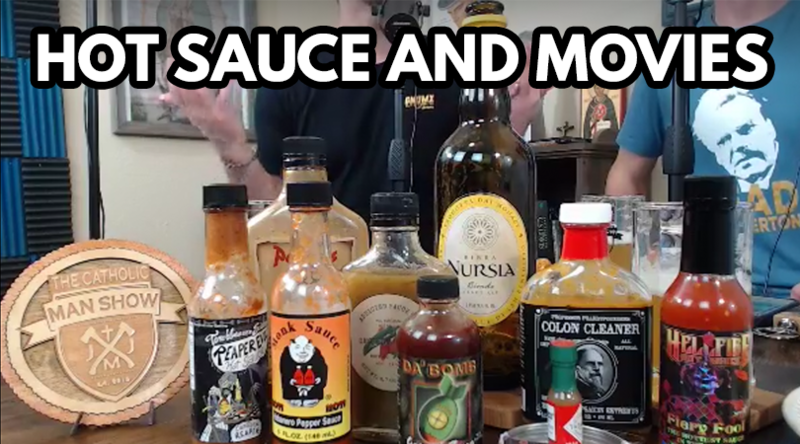 This episode is sponsored by friend and Council of Man member Paul Day. Great meeting you Paul at the E6 Men’s Conference – thanks for the whiskey! We are only able to do shows like this because of your support. Please consider becoming a PATREON supporter today! Fr. 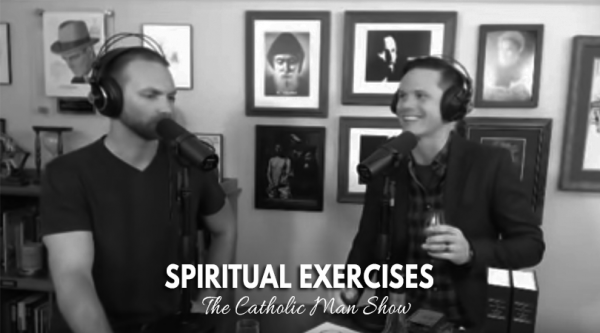 Jonathan Meyer was very kind and invited to his rectory to record an episode of TCMS with 7 of his seminarians. Fr. 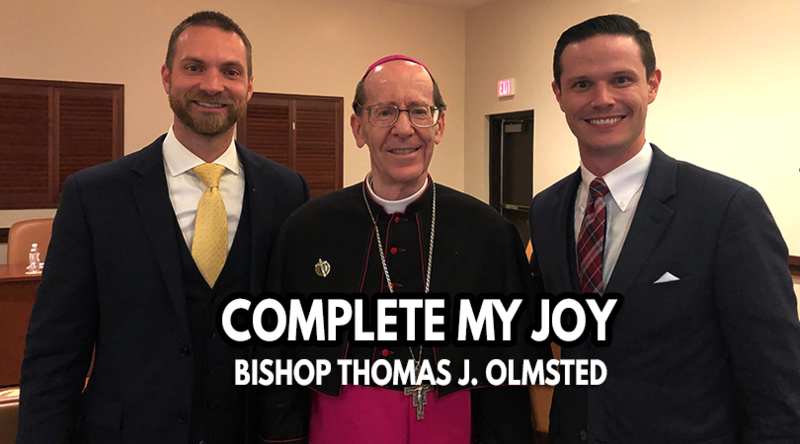 Meyer gave an excellent homily at the E6 Men’s conference (video below), but what stood out to us was the way he celebrated the liturgy. He had over 20 alter servers at the Holy Mass and we found out that is not abnormal for him at his parish! So we chatted with him about a clothing line he wants someone to start, the Catholic Culture he is created, and his prayer life. We want to thank Joe Yunger, Andrew Middendorf, and the whole team for inviting us to the E6 Men’s Conference. Keep up the great work! 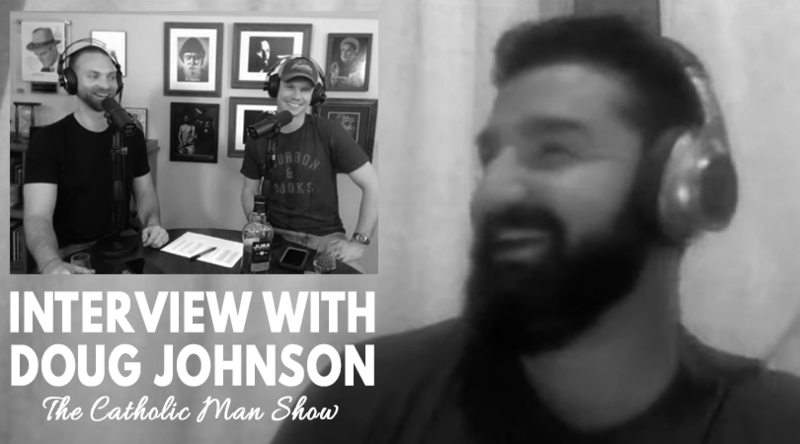 Talking about a potential clothing line as a man gear. 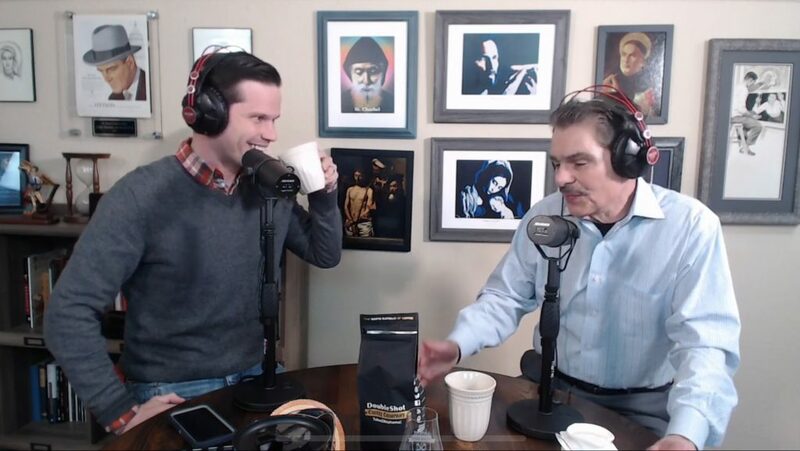 Dr. Ray Guarendi joins Adam in studio! Talking about a belt as a man gear. 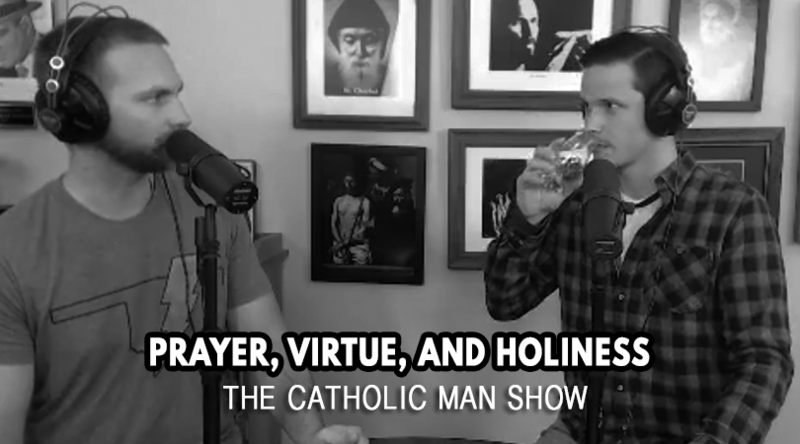 Prayer life, virtue, and holiness: That’s what we went with for this week. We originally planned to have John Sablan back on to re-record our episode. However, due to scheduling conflicts, he couldn’t be with us. So Adam and Dave had, probably a much needed, casual conversation on topics they have been considering throughout the week. We want to thank Fr. 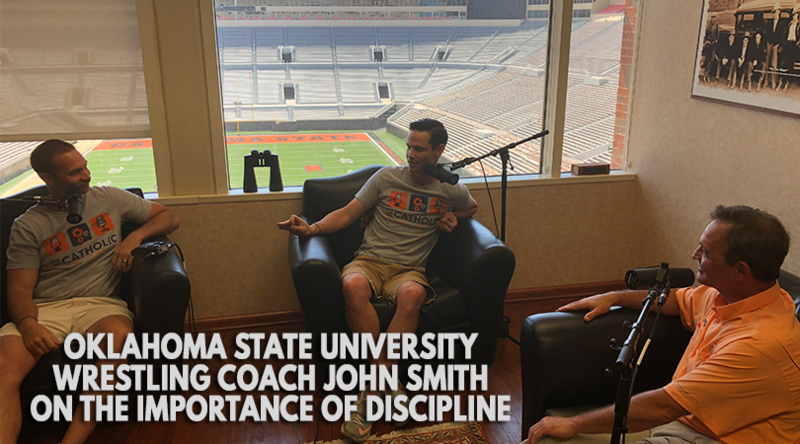 Brian O’Brien for helping us make this interview happen. 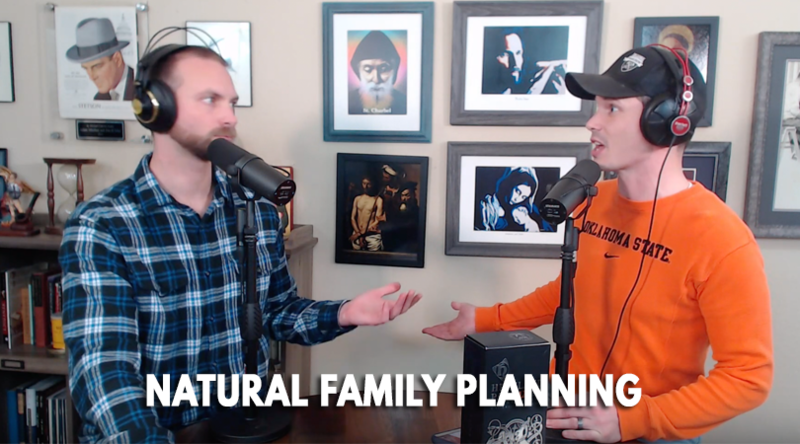 Special Guest: Thomas Lackey – a parishioner at Most Precious Blood in Tulsa, Ok.
We threw out the format in this episode! No drink. No gear. Just sitting around the table with friends and talking about the most important topics in our faith. 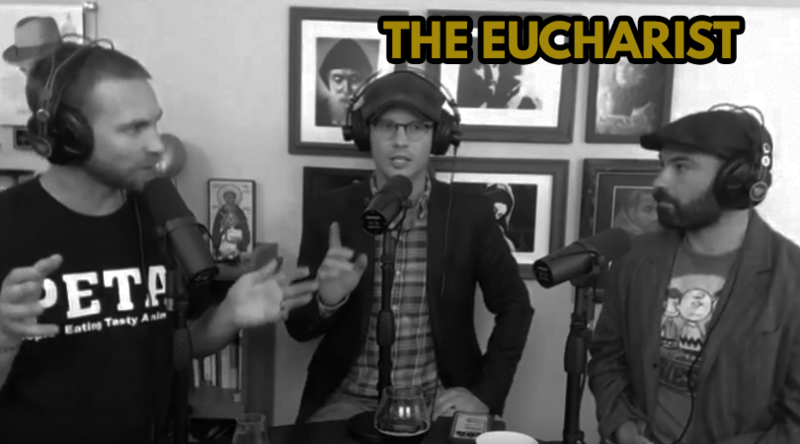 If you missed our episode last week on the Eucharist, make sure you go back and listen. [In Eternity i]t is not asked whether your marriage was in accordance with others, with the common practice, or better than others, but… you as an individual will be asked only whether it was in accordance with your responsibility…. For common practice changes, and all comparison goes lame, or is only half truth. But eternity’s practice, which never goes out of fashion, is, that you are the individual, that you yourself in the intimate relation of marriage should have been conscious of this. In eternity it will not be asked whether your wife seduced you (eternity will talk with her about that), [in Eternity] you will be asked whether you allowed yourself to be seduced. If your marriage is so blessed that you see a family growing up around you, may you be conscious that while you have an intimate relation to your children you have a still more intimate relation to yourself as an individual. You share the responsibility with your wife, and hence eternity will also ask her as an individual about her share of the responsibility. For in eternity there is not a single complication that is able to make the accounting difficult and evasion easy. Eternity does not ask concerning how far you brought up your children in the way that you saw others do it. It simply asks you as an individual, how you brought up your children. For you and conscience are one. It knows all that you know, and it knows that you know it. With respect to your children’s upbringing you can weigh various matters with your wife, or your friends. But how you act and the responsibility for it is finally wholly and solely yours as an individual. And if you fail to act, hiding from yourself and from others behind a screen of deliberation, you bring down the responsibility solely upon yourself as an individual. will himself become an individual with his responsibility to God. Each one will himself be subject to the stern judgment of this individuality. Is this not the purpose of the office of Confession? … Those who are coming to confess do not belong together in a society. Each one is an individual before God. Man and wife may go to confession in beautiful fellowship with each other, but they may not confess together. The one who confesses is not in company, he is as an individual, alone before God. ○ … [C]onfession is a holy act, which calls for a collected mind. A collected mind is a mind that has collected itself from every distraction, from every relation, in order to center itself upon this relation to itself as an individual who is responsible to God. It is a mind that hasthis relation to itself as an individual who is responsible to God. It is a mind that has collected itself from every distraction, and therefore also from all comparison. For comparison may either tempt a man to an earthly and fortuitous despondency because the one who compares must admit to himself that he is behind many others, or it may tempt him to pride because, humanly speaking, he seems to be ahead of many others. ○ Can you not be contented like all the others, when your last hour has come, to go well baled and crated in one of the large shipments which the established order sends straight through to heaven under its own seal and plainly addressed to ‘The Eternal Blessedness,’ with the assurance that you will be exactly as well received and just as blessed as ‘all the others’? In short, can you not be content with such reassuring security and guaranty as this, that the established order vouches for your blessedness in the hereafter? Very well then. Only keep this to yourself. The established order has no objection. If you keep as still as a mouse about it, you will nevertheless be just as well off as the others. ○ In our time nobody is content to stop with faith but wants to go further. It would perhaps be rash to ask where these people are going, but it is surely a sign of breeding and culture for me to assume that everybody has faith, for otherwise it would be queer for them to be . . . going further. In those old days it was different, then faith was a task for a whole lifetime, because it was assumed that dexterity in faith is not acquired in a few days or weeks. When the tried oldster drew near to his last hour, having fought the good fight and kept the faith, his heart was still young enough not to have forgotten that fear and trembling which chastened the youth, which the man indeed held in check, but which no man quite outgrows. . . except as he might succeed at the earliest opportunity in going further. Where these revered figures arrived, that is the point where everybody in our day begins to go further. Let others complain that the age is wicked; my complaint is that it is paltry; for it lacks passion. Men’s thoughts are thin and flimsy like lace, they are themselves pitiable like the lacemakers. The thoughts of their hearts are too paltry to be sinful. For a worm it might be regarded as a sin to harbor such thoughts, but not for a being made in the image of God. Their lusts are dull and sluggish, their passions sleepy. They do their duty, these shopkeeping souls, but they clip the coin a trifle, like the Jews; they think that even if the Lord keeps ever careful a set of books, they may still cheat him Him a little. Out upon Them! This is the reason my soul always turns back to the Old Testament and to Shakespeare. I feel that those who speak there are at least human: they hate, they love, they murder their enemies, and curse their descendants throughout all generations, they sin. ○ Tension between the two is the chance for merit as well as fall. is this? Is its eye darkened by its weakness, or is it dazzled by Your splendour? In truth it is both darkened in itself and dazzled by You. Let no one, therefore, look for an efficient cause of the evil will; for it is not efficient, but deficient, as the will itself is not an effecting of something, but a defect. For defection from that which supremely is, to that which has less of being: this is to begin to have an evil will. But if these things be preferred, then even though a man seem to have faith in Christ, yet Christ is not the foundation to that man; and much more if he, in contempt of wholesome precepts, seek forbidden gratifications, is he clearly convicted of putting Christ not first but last, since he has despised Him as his ruler, and has preferred to fulfill his own wicked lusts, in contempt of Christ’s commands and allowances. Accordingly, if any Christian man loves a harlot, and, attaching himself to her, becomes one body, he has not now Christ for a foundation. But if anyone loves his own wife, and loves her as Christ would have him love her, who can doubt that he has Christ for a foundation? from things earthly to things heavenly, from the visible to the invisible, there are some things better than others; and for this purpose are they unequal, in order that they might all exist. 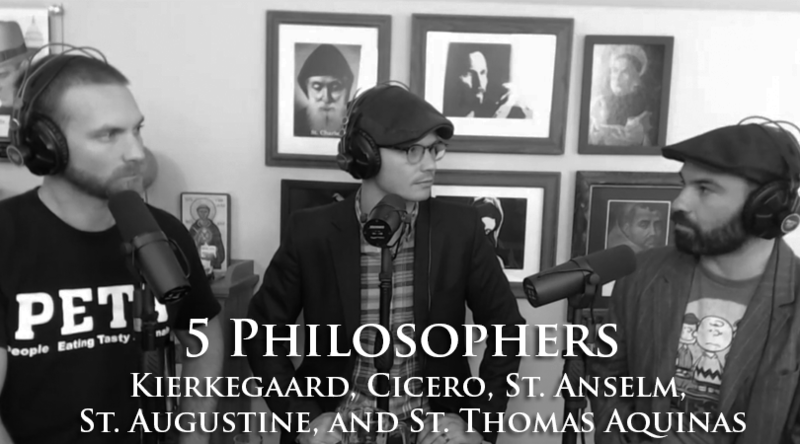 even those against whom we are disputing have been compelled to acknowledge, in some fashion, that the grace of God is necessary for the acquisition, not, indeed, of any philosophy, but of the true philosophy. would that we had lived so well in Paradise that in very truth there were now no death! But not only does it now exist, but so grievous a thing is it, that no skill is sufficient either to explain or to escape it. For God, the Creator of all, knows where and when each thing ought to be, or to have been created, because He sees the similarities and diversities which can contribute to the beauty of the whole. The peace of the body then consists in the duly proportioned arrangement of its parts. The peace of the irrational soul is the harmonious repose of the appetites, and that of the rational soul the harmony of knowledge and action. He, abiding unchangeable, took upon Him our nature, that thereby He might take us to Himself; and, holding fast His own divinity, He became partaker of our infirmity, that we, being changed into some better thing, might, by participating in His righteousness and immortality, lose our own properties of sin and mortality, and preserve whatever good quality He had implanted in our nature, perfected now by sharing in the goodness of His nature. For as by the sin of one man we have fallen into a misery so deplorable, so by the righteousness of one Man, who also is God, shall we come to a blessedness inconceivably exalted. For better is it to contend with vices than without conflict to be subdued by them. Better, I say, is war with the hope of peace everlasting than captivity without any thought of deliverance. I do not blame those who may be able to draw out of everything there a spiritual meaning, only saving, first of all, the historical truth. But eternal punishment seems hard and unjust to human perceptions, because in the weakness of our mortal condition there is wanting that highest and purest wisdom by which it can be perceived how great a wickedness was committed in that first transgression. 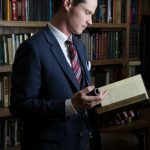 We cannot be expected to find room for replying to every question that may be started by unoccupied and captious men, who are ever more ready to ask questions than capable of understanding the answer. the actual possession of the happiness of this life, without the hope of what is beyond, is but a false happiness and profound misery. For while the hot restlessness of heretics stirs questions about many articles of the catholic faith, the necessity of defending them forces us both to investigate them more accurately, to understand them more clearly, and to proclaim them more earnestly; and the question mooted by an adversary becomes the occasion of instruction. But in these days of vanity it makes an important difference whether he resists or yields to the truth, and whether he is destitute of true piety or a partaker of it: important not so far as regards the acquirement of the blessings or the evasion of the calamities of this transitory and vain life, but in connection with the future judgment which shall make over to good men good things, and to bad men bad things, in permanent, inalienable possession. Our infancy, indeed, introducing us to this life not with laughter but with tears, seems unconsciously to predict the ills we are to encounter. Zoroaster alone is said to have laughed when he was born, and that unnatural omen portended no good to him. knowledge of what is to be desired, and (3) knowledge of what is to be done. The first is taught in the Creed, where knowledge of the articles of faith is given; the second is in the Lord’s Prayer; the third is in the Law. The Eucharist – the source and summit of the Christian Life. ○ We can consider three things in this sacrament: namely, that which is sacrament only, and this is the bread and wine; that which is both reality and sacrament, to wit, Christ’s true body; and lastly that which is reality only, namely, the effect of this sacrament. Consequently, in relation to what is sacrament only, the chief figure of this sacrament was the oblation of Melchisedech, who offered up bread and wine. In relation to Christ crucified, Who is contained in this sacrament, its figures were all the sacrifices of the Old Testament, especially the sacrifice of expiation, which was the most solemn of all. While with regard to especially the sacrifice of expiation, which was the most solemn of all. While with regard to its effect, the chief figure was the Manna, “having in it the sweetness of every taste” (Wis. 16:20), just as the grace of this sacrament refreshes the soul in all respects. The Paschal Lamb foreshadowed this sacrament in these three ways. First of all, because it was eaten with unleavened loaves, according to Ex. 12:8: “They shall eat flesh . . . and unleavened bread.” As to the second because it was immolated by the entire multitude of the children of Israel on the fourteenth day of the moon; and this was a figure of the Passion of Christ, Who is called the Lamb on account of His innocence. As to the effect, because by the blood of the Paschal Lamb the children of Israel were preserved from the destroying Angel, and brought from the Egyptian captivity; and in this respect the Paschal Lamb is the chief figure of this sacrament, because it represents it in every respect. ○ As stated above (Article ), since Christ’s true body is in this sacrament, and since it does not begin to be there by local motion, nor is it contained therein as in a place, as is evident from what was stated above (Article , ad 2), it must be said then that it begins to be there by conversion of the substance of bread into itself. And since Christ and His Passion are the cause of grace. and since spiritual refreshment, and charity cannot be without grace, it is clear from all that has been set forth that this and charity cannot be without grace, it is clear from all that has been set forth that this sacrament bestows grace. Special Guests: Fr. 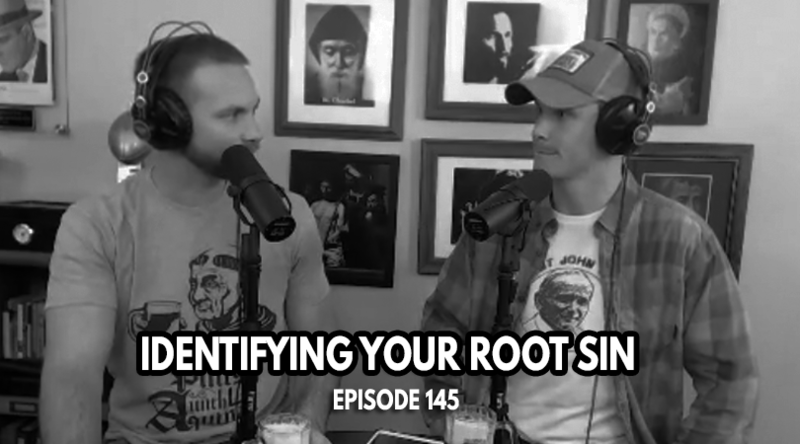 Sean O’Brien and Austin Ferguson from Broken Arrow Brewing Co. Thank you to St. Anne’s Catholic Church in Broken Arrow for inviting us to record for their “Theology UnHinged”. If you have a men’s group coming up and would like us to be there, email us. In 1875 Father Dominic, a Belgian Monk, would travel to Indian Territory with the Saint Benedictine Monks from France. He would become the first brewmeister in the territory. This Abbey Quad in strict obedience, gives reverence to Father Dominic. His fermented drinks were enjoyed by the local Native Americans and many of the early boomers. This is a dark Belgian style Quad that is beautifully complex with hints of molasses, prairie fruits, and Belgian Candi. It is a heavenly smooth and delightful elixir that is dangerously drinkable. Peace includes concord and adds something thereto. Hence wherever peace is, there is concord, but there is not peace, wherever there is concord, if we give peace its proper meaning. Is peace the same as concord? Do all things desire peace? Is peace an effect of charity? Shoutout to 1907 for letting us try 1907 beerskey. 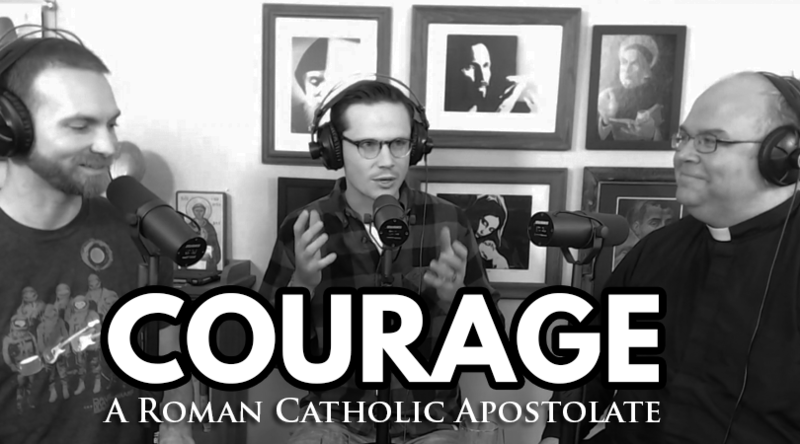 We discuss what St. Thomas Aquinas says about fortitude. 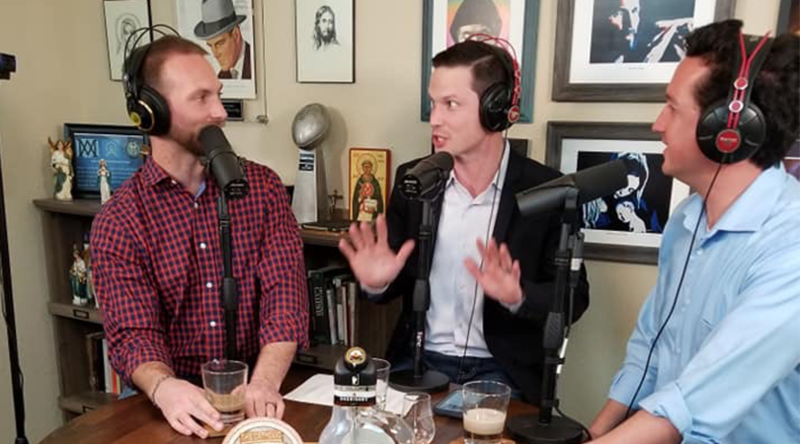 Dr. Michael Foley joins TCMS to discuss drinks, toasts, moderation, and cheer. We apologize for the echo in Dr. Michael Foley’s audio. We tried our best to minimize this in post but we weren’t able to completely take it away. His audio does get better in the second half of the show. 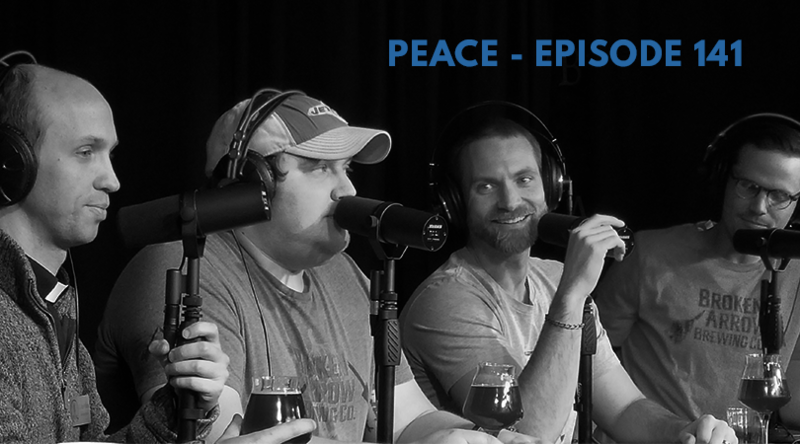 Nonetheless, we hope you enjoy the episode. Hot gin toddies. Smoking rosemary old fashioneds. A “wet” Advent calendar. Now you can experience Christmas the way it was meant to be celebrated: with festive cocktails and a lively history of Saint Nicholas and other saints! 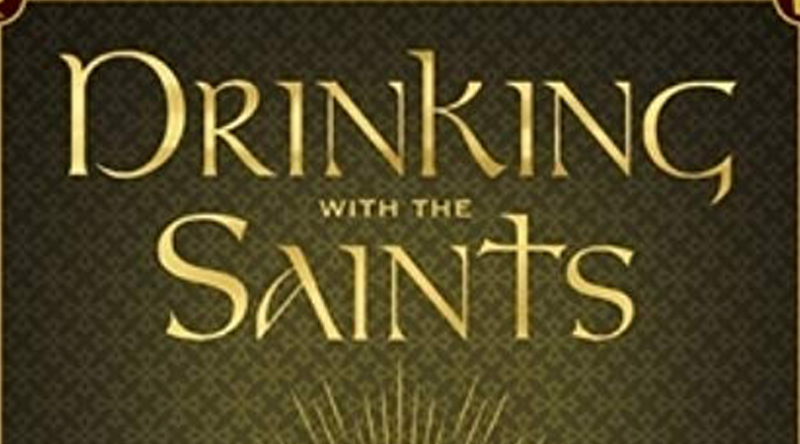 Michael Foley, the author of Drinking with the Saints, presents holiday drink recipes; beer, wine, and cider recommendations; and witty instruction on how to honor the saints in this exquisite gift book that will make your Christmas more spirited than ever before. Get his new book Drinking with St. Nick here.